Scientists from Harvard University have designed the world’s very first autonomous soft robot. 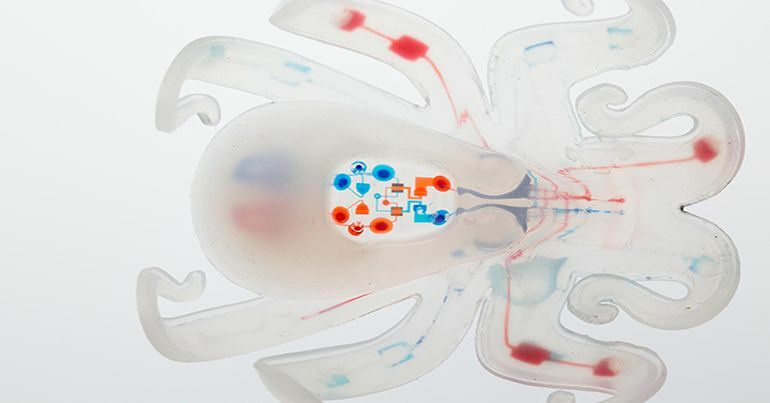 Dubbed as the octobot, the innovative automaton integrates the latest advances in mechanical engineering, 3D printing and microfluidics. The breakthrough, the researchers believe, could usher in an entire generation of soft, untethered machines that are capable of moving on their own. Through our hybrid assembly approach, we were able to 3D print each of the functional components required within the soft robot body, including the fuel storage, power and actuation, in a rapid manner. The octobot is a simple embodiment designed to demonstrate our integrated design and additive fabrication strategy for embedding autonomous functionality. 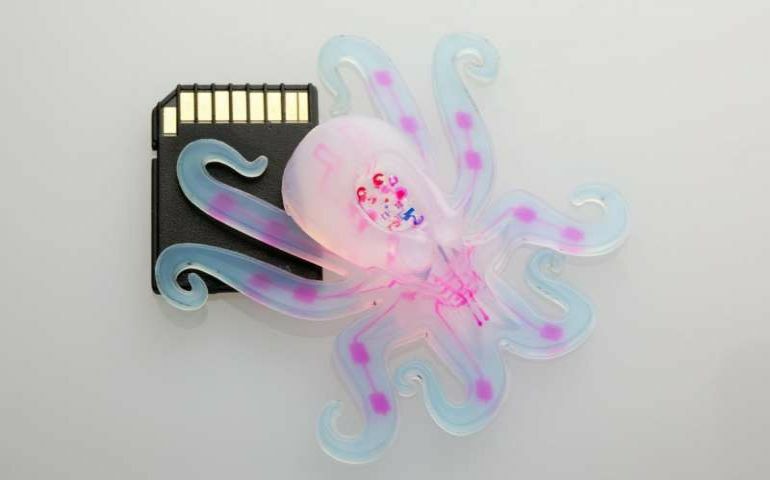 Fuel sources for soft robots have always relied on some type of rigid components. The wonderful thing about hydrogen peroxide is that a simple reaction between the chemical and a catalyst—in this case platinum—allows us to replace rigid power sources. The entire system is simple to fabricate, by combining three fabrication methods—soft lithography, molding and 3D printing—we can quickly manufacture these devices. This research is a proof of concept. 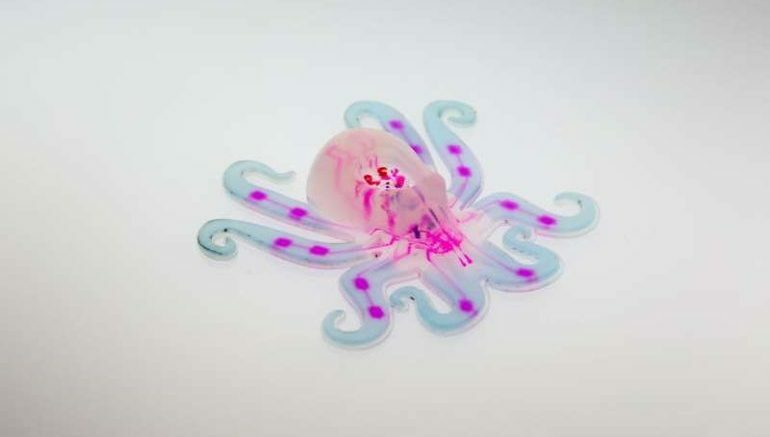 We hope that our approach for creating autonomous soft robots inspires roboticists, material scientists and researchers focused on advanced manufacturing.